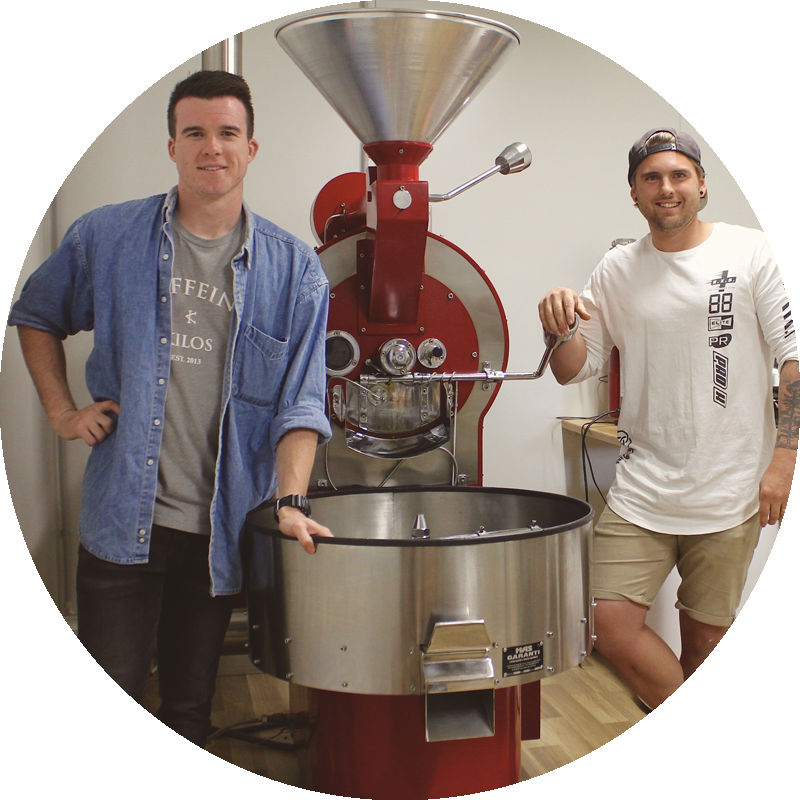 Scott Parker and Heath Nicholson are the owners of Clockwork Coffee. Scott has been in the coffee industry for 6 years and loves all things coffee. Heath has been running a building business for 6 years and loves his coffee as well. So it made sense for the two to go into business together; with Scott’s coffee knowledge and heaths business knowledge and a shared interest in coffee, spreading the joy coffee brings them to others worked as well as coffee and water. Scott Parker is the founder and owner of Clockwork Coffee. Our mission is to bring joy to those who love drinking their coffee and producing their coffee. We do this through being involved in the whole coffee chain; like trips to Nepal and PNG where coffee is grown and processed, buying the green beans direct from origin, roasting the coffee ourselves and brewing the coffee ourselves whilst teaching others how to enjoy the fruits of the coffee farmers labour. We currently supply our coffee beans to Brother Pablo Cafe Shepparton, you too can be a part of sharing our beans with the world.